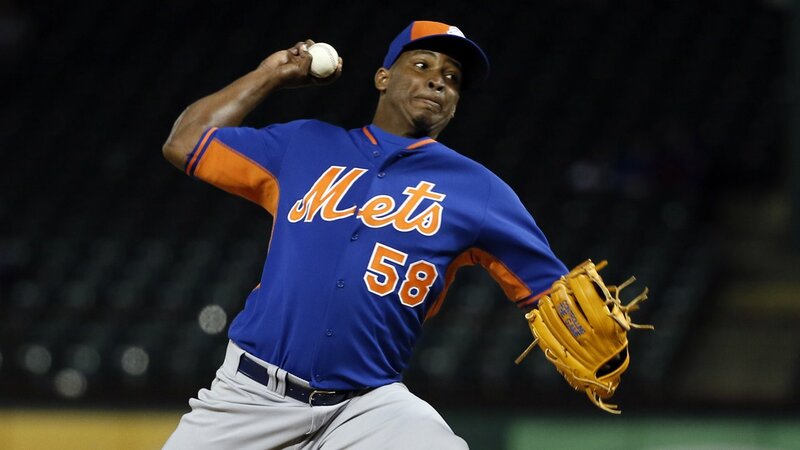 FLUSHING, Queens -- Mets reliever Jenrry Mejia has become the first player to receive a lifetime ban under baseball's drug agreement after testing positive for a performance-enhancing substance for the third time. The commissioner's office said Friday that Mejia tested positive for Boldenone. The 26-year-old was the Mets' closer before he was suspended for 80 games last April 11 following a positive test for Stanozolol. He returned July 12, appeared in seven games for New York, then was banned for 162 games on July 28 after a positive test for Stanozolol and Boldenone. Major league players and teams agreed in November 2005 that a third positive test for PEDs would result in a lifetime ban. No players have been banned for life under the minor league drug program.